Thursday June 1st 2017: Second quarter of the moon cycle begins 8:42am. Friday June 2nd: Moon v/c at 5:48pm. Moon enters Libra at 8:04pm. Sunday June 4th: Mars enters Cancer at 12:16pm. Happy birthday to my amazing father! Monday June 5th: Moon v/c at 4:57am. Moon enters Scorpio at 6:46am. Tuesday June 6th: Venus enters Taurus at 3:27am. Mercury enters Gemini at 6:15pm. Moon v/c at 8:35pm. Happy birthday to our very own Urban Muse, Jo Ann! You are such an amazing and wonderful person. Jo is most definitely a true muse, who inspires me and others to better ourselves and look for magic in every day events. Wednesday June 7th: Moon enters Sagittarius at 6:59pm. Friday June 9th: Full Moon in Sagittarius at 9:10am (EDT). Jupiter goes direct at 10:03am. Sagittarius moons are energetic, adventurous and optimistic. Sagittarius moons offer expansion and growth. Generally a good moon to travel under. Sagittarius is the truth seeker and the explorer. We need to think bigger and aim higher under the archer moon. This full moon creates some challenges between Jupiter and Saturn. One wants to say yes to everything and jump right into a new situation. It offers optimism and confidence. The other one makes us take a step back and look at things in more realistic view. This can create restrictions and it demands self-discipline. You may be presented with mixed emotions, fears to move forward and confusion. Don’t let fear stand in your way, push through it and take chances. This full moon will have you questioning many things, your beliefs, your relationships, “the bigger picture” of what you want in life. You will find the answers to your questions through mindful practices. Go out into nature, do some yoga or meditate. The truth will be revealed in the end. This is a great time for spiritual growth. Jupiter goes direct adding extra good luck and optimism for the future. Saturday June 10th: Moon v/c at 2:20am. Moon enters Capricorn at 7:36am. Celtic Tree Month of Oak begins. Oak - The StabilizerJune 10 - July 7Those born under the Celtic tree astrology sign of the Oak have a special gift of strength. They are protective people and often become a champion for those who do not have a voice. In other words, the Oak is the crusader and the spokesperson for the underdog. Nurturing, generous and helpful, you are a gentle giant among the Celtic zodiac signs. You exude an easy confidence and naturally assume everything will work out to a positive outcome. You have a deep respect for history and ancestry, and many people with this sign become teachers. You love to impart your knowledge of the past to others. Oak signs have a need for structure, and will often go to great lengths to gain the feeling of control in their lives. Healthy Oak signs live long, full, happy lives and enjoy large family settings and are likely to be involved with large social/community networks. Oak signs pair off well with the Ash and Reed, and are known to harmoniously join with Ivy signs too. 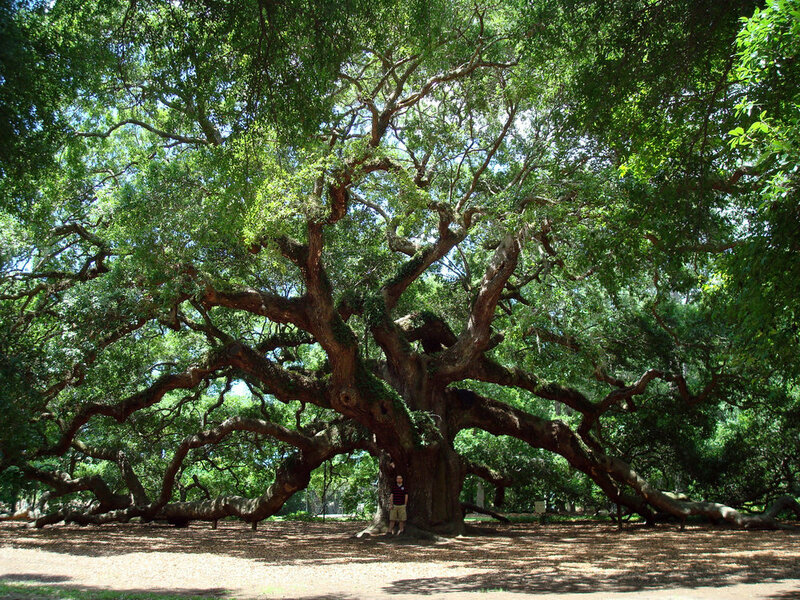 Ancient Celts observed the oak's massive growth and impressive expanse. They took this as a clear sign that the oak was to be honored for its endurance, and noble presence. Indeed, wearing oak leaves was a sign of special status among the Celts (as well as ancient Greeks and Romans). Today we see artistic renditions of the "Leafman" in which a man's face is covered in leaves. This is an evolution of lore that dates back to earth-based spirituality in which the regal power of the oak was recognized and honored. The oak's status was (and still is) undeniable. Further merit to its regal presence is its tendency to attract lightning. This was considered hugely powerful among the ancients and is associated with one of their foremost gods, Dagda. The oak is a living legend representing all that is true, wholesome, stable, and noble. When you are in need of stability and strength in your life - envision the oak in your minds eye. Picture yourself drawing into its endless energy waves. Soon, you will find yourself sharing in its power. There is a reason the oak is considered the king of green realm. The oak is generous with its gifts - just as any good ruler shares its bounty amongst the kingdom. Monday June 12th: Moon v/c at 2:45pm. Moon enters Aquarius at 7:45pm. Thursday June 15th: Moon v/c at 1:40am. Moon enters Pisces at 6:17am. Friday June 16th: Neptune goes retrograde at 7:09am until November 22nd 2017. When Neptune is in retrograde it gives us a chance to "see" more. This is the time to listen to your "inner voice". Psychic abilities are heightened and this could feel like an overload for people who are already sensitive. 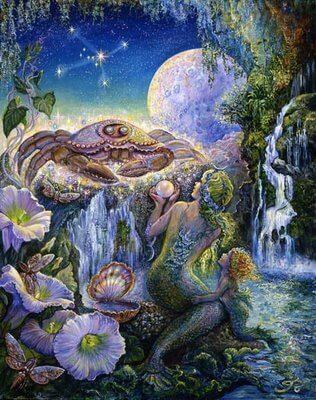 Any problems started in Neptune retrograde need to be taken care of before Neptune goes direct. Problems can worsen if it leads over to Neptune direct. Protect yourself from people who might feed off your energy. Avoid drugs and people with addictive personalities. Saturday June 17th: Moon v/c at 7:33am. Fourth quarter of the moon cycle begins at 7:33am. Moon enters Aries at 1:55pm. 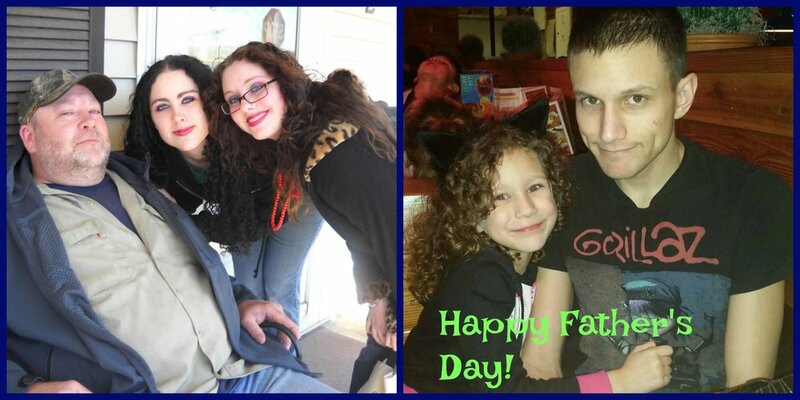 Sunday June 18th: Happy Father's Day to all you great dads out there! Monday June 19th: Moon v/c at 3:42pm. Moon enters Taurus at 5:53pm. Wednesday June 21st: Sun enters Cancer at 12:24am. Moon v/c at 12:26am. Mercury enters Cancer at 5:57am. Moon enters Gemini at 6:44pm. Happy Summer Solstice/Midsummer! Friday June 23rd: Moon v/c at 2:45pm. Moon enters Cancer at 6:07pm. New Moon in Cancer at 10:31pm. 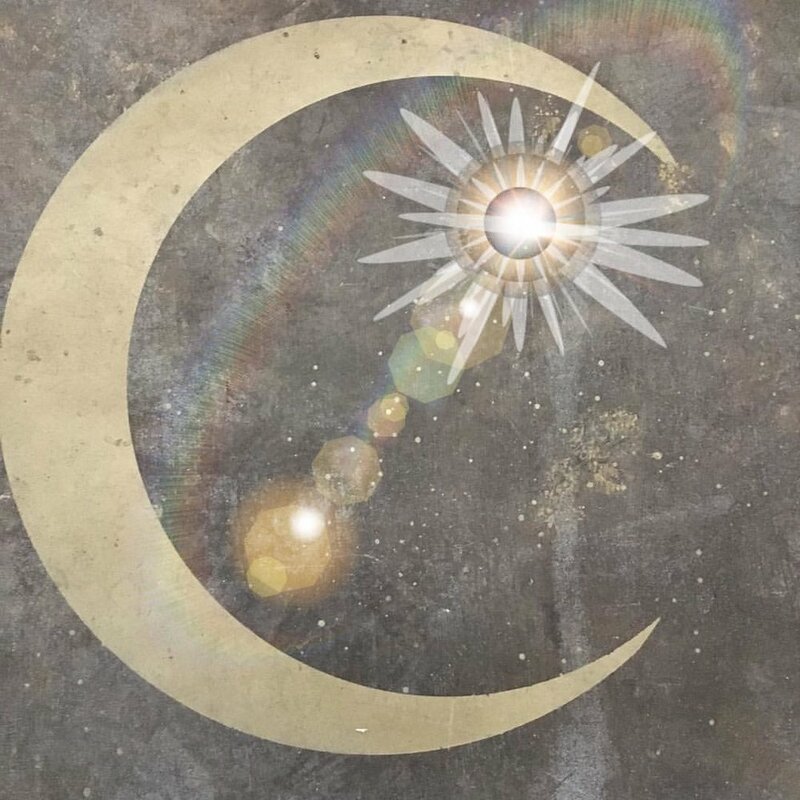 When the moon is in Cancer, it is in its own rulership, giving it a boost of energy. Cancer moons concern family, the home, the mother (or a mother figure) and any domestic matters. They are about growth and nurturing. Love and emotional expression is the theme of this June new moon. There are many planets in water signs this moon, making it extra emotional your intuition is heightened. It is a time to nurture loved ones and focus on personal relationships. Use this time to connect deeply with your mother or females in your family. It is a lucky time for love. Tell your loved ones how you feel. Mars wants you to express your feelings. 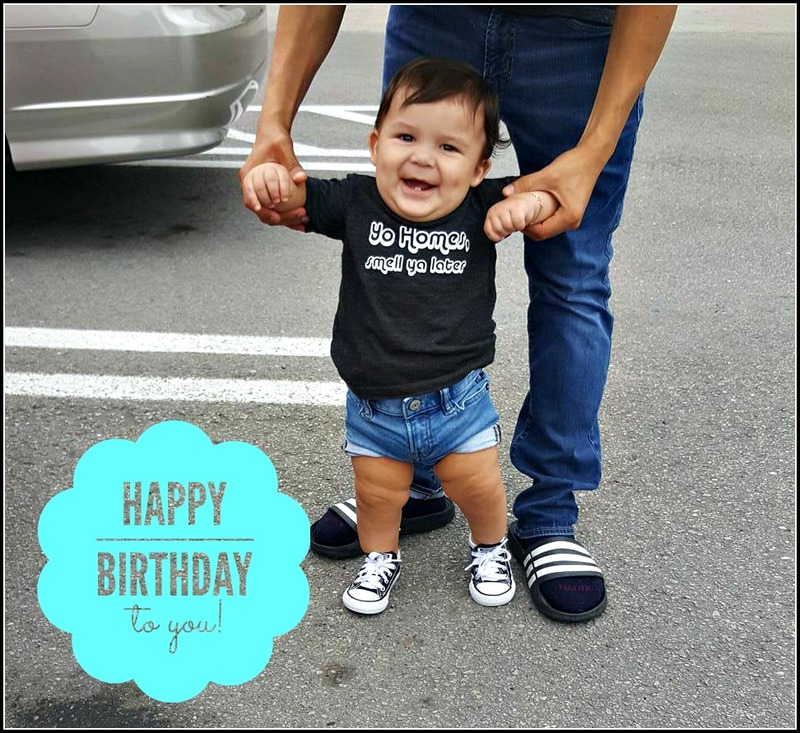 Saturday June 24th: Happy birthday 1st to Jo's handsome grandson Camilo! Sunday June 25th: Moon v/c at 2:44pm. Moon enters Leo at 6:06pm. Monday June 26th: Happy Anniversary to Jo and Ronnie! I hope you two love birds have an amazing day. Tuesday June 27th: Moon v/c at 5:12pm. Moon enters Virgo at 8:41pm. Thursday June 29th: Moon v/c at 4:35pm. Frifday June 30th: Moon enters Libra at 3:02am. Second quarter of the moon cycle begins at 8:51pm.